Remarkably little has been written about the theory and practice of applied police research, despite growing demand for evidence in crime prevention. Designed to fill this gap, this book offers a valuable new resource. 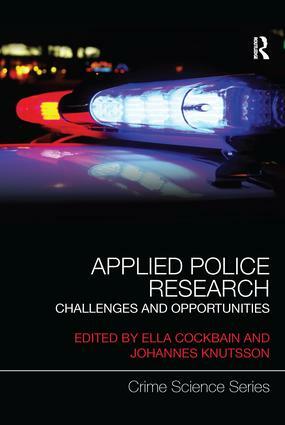 It contains a carefully curated selection of contributions from some of the world's leading applied police researchers. Together, the authors have almost 300 years of relevant experience across three continents. The volume contains both practical everyday advice and calls for more fundamental change in how police research is created, consumed and applied. It covers diverse topics, including the art of effective collaborations, the interaction between policing, academia and policy, the interplay between theory and practice and managing ethical dilemmas. This book will interest a broad and international audience from academics and students, to police management, officers and trainees, to policymakers and research funders.